Interesting choice to invest some time swimming in Sheffield. Is it not your first time here? Tell us how it went making use of the Facebook comments below or contacting us directly! 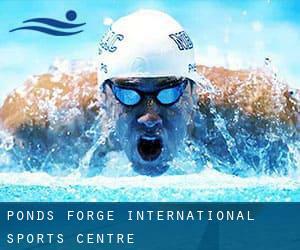 Ponds Forge International Sports Centre is only one of all the swimming pools Swimia is providing you, and its details has been shared with us by a swimmer like you.Keep in mind you may now promote Ponds Forge International Sports Centre by sharing this page with your friends, adding comments and linking to us. Few days ago a standard user of this centre told us they offer Olympic size x 25 meters, 10 long course lanes, 2 meters - 3 meters depth, 2 meters - 3 meters depth, Non-Chlorine Sanitized, Indoors. Furthermore, they keep in good conditions 25 meters, Indoors. Contact information and facts for this Swimming Pool for example phone number and email address are number. Write down the GPS coordinates we have on our file for this Swimming Pool, so you can enter them into your GPS to support you locate the Pool easily. If you believe that any of the data is incorrect, please contact us. Help us be better day-by-day. Napier Street off Eccleshall Road , Sheffield , England , UNITED KINGDOM (Postal Code: S11 8HA). This sports centre offers 25 meters x 10 meters, Indoors. For this Pool, only phone number is number here. Westfield Sports College Campus , Eckington Road , Sothall , Sheffield , England , UNITED KINGDOM (Postal Code: S20 5AQ). This sports centre provides 25 meters x 10 meters, 5 lanes, Indoors. Contact information for this Pool like phone number and email address are number. Broadfield Road , Heeley , Sheffield , England , UNITED KINGDOM (Postal Code: S 8 0XQ). Swimmers like you reported 25 yards, 5 lanes, Indoors. Phone number and e-mail address are number for this Swimming Pool. Updated on 2019 Gosber Street , Eckington , England , UNITED KINGDOM (Postal Code: S21 4DA). This sports centre provides 25 meters x 12 meters, 6 lanes, 1 meters - 3 meters depth, 1 meters - 3 meters depth, Indoors. Contact data for this Swimming Pool similar to phone number and e-mail address are number. 300 Broadfield Road , Heeley , Sheffield , England , UNITED KINGDOM (Postal Code: S 8 0XQ). This sports centre delivers 25 meters x 10 meters, 5 lanes, 1.2 meters depth, 1.2 meters depth, Indoors. For this Swimming Pool, only phone number is number here. Bochum Parkway , Norton , Sheffield , England , UNITED KINGDOM (Postal Code: S 8 8JR). This sports centre offers 25 meters x 11 meters, 0.9 meters - 2 meters depth, 0.9 meters - 2 meters depth, Indoors. Contact data for this Pool such as phone number and email address are number. Myrtle Springs School , 524 East Bank Road , Sheffield , England , UNITED KINGDOM (Postal Code: S 2 2AL). This sports centre delivers 20 meters x 8 meters, 4 lanes, 0.9 meters - 1.9 meters depth, 0.9 meters - 1.9 meters depth, Indoors. Contact details for this Pool for instance phone number and email address are number. Northumberland Road , Sheffield , England , UNITED KINGDOM (Postal Code: S10 2TY). This sports centre gives 33 meters, 6 lanes, Indoors. Contact data for this Swimming Pool which include phone number and e-mail address are number. Beulah Road , Hillsborough , Sheffield , England , UNITED KINGDOM (Postal Code: S 6 2AN). Few days ago a standard user of this centre told us they offer 21 meters x 21 meters, 6 lanes, 2 meters uniform depth, 2 meters uniform depth, Indoors. Furthermore, they keep in good conditions 21 meters x 11 meters, maximum depth 2 meters, maximum depth 2 meters, Indoors. Contact information and facts for this Swimming Pool for example phone number and email address are number. Victoria Quays , Furnival Road , Sheffield , England , UNITED KINGDOM (Postal Code: S 4 7YA). Among all the activities offered by the centre, if you're considering swimming you can get pleasure from 21 meters x 10 meters, Indoors. Just in case you desire to make contact with this Swimming Pool before dropping by, we only know the phone number. 1 Archer Road , Millhouses , Sheffield , England , UNITED KINGDOM (Postal Code: S 8 0LB). Among all of the activities supplied by the centre, if you are keen on swimming you'll enjoy 25 meters x 10 meters, Indoors. Just in case you want to contact this Swimming Pool before dropping by, we only know the phone number. Clarkehouse Road , Sheffield , England , UNITED KINGDOM (Postal Code: S10 2LB). This sports centre offers 30 meters, 5 lanes, Indoors. For this Pool, only phone number is number here. Shiregreen Lane , Sheffield , England , UNITED KINGDOM (Postal Code: S 5 6AE). Swimmers like you reported 25 meters x 12.5 meters, 6 lanes, 0.9 meters - 1.5 meters depth, 0.9 meters - 1.5 meters depth, Indoors. Phone number and e-mail address are number for this Swimming Pool. 18 Upperthorpe , Upperthorpe , Sheffield , England , UNITED KINGDOM (Postal Code: S 6 3NA). Among all of the activities provided by the centre, if you are interested in swimming you will get pleasure from 20 yards, 5 lanes, Indoors. Just in case you would like to make contact with this Pool before dropping by, we only know the phone number.